You'll find below a beautifully produced film by Eduardo Yague based on Raymond Carver's poem "Late Fragment", with actors Pau Vegas and Faustino Fernandez and music by Swoon. The videopoem is Yague's final film in his series La Luz Tenaz (The Tenacious Light), which he describes as an "[investigation of] the language of poetry, film, acting, music, photography. . . ." The complete series is found at Moving Poems. and I always come back to the Ozarks. In his new collection O (T.S. 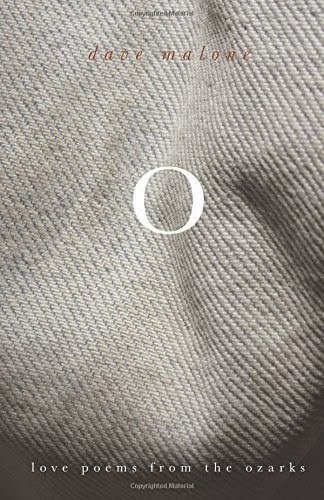 Poetry Press, 2015), poet Dave Malone charts both physical landscape and seasons of love, revealing how, in the Ozark countryside he calls home, geography figuratively shifts while love continually transforms. In "We Blossom the World", the first poem in the book's first section "Spring", what Malone's lovers "can't say to each other" finds release through nature's own language—in "forsythia bushing out gold" and "torn-up sky greening into tornado". No matter that "[c]louds shake with gray" ("The Knobby Throat of Spring") or "April wind batters" ("Thunderboomer"), intense love-making ensues, expressing itself in "golden prairie flames, / the timber plain consumed" ("Hips"). In summer, "calves, thighs, shins, / white as cottonwood blossoms" and legs that "hold up the body / that's grown into the body" loved ("Photograph") urge abandon to and in the lovers' oak four-poster, "[his] tongue . . . sweeping low / against [her] flower" ("Silk") until the interminable heat of Ozark August turns even night a "traitor". By autumn, no calendars need "mark the flutter of romance . . . the flutter of union"; the lovers "sleep beneath the sexed redbuds / purpling like bruises" ("Unmarked"). Their "backs break in loving— / and then the rest . . . " ("Loving"). Absence hollows out before giving way to "a landscape / of cannon and chipped maps and civil war" ("Civil War"), leaving the lovers "at home in frigid water" ("The Deep"). we are dropped on a railroad bed. churns through the pine forest. until arms join in the utter, forest dark. And so life and the love that refreshes and restores it cycle through O, light giving way to hurt giving way to darkness giving way to light. In the vividly realized geographical and metaphorical landscapes in which he creates his love story — story, not simply a series of individual poems addressing the subject — Malone is unabashed in exalting romantic and physical love. As economical and plain-spoken as they are, his poems never shy from declaring love in its most passionate forms: in flesh and in blood, of body and in spirit. The poems, however, also speak to what happens when a "gangly" moon "looms as boring as it can get" ("Separation"): the eyes of the lovers dull and words fail and lips become "only a solid line". Sometimes, Malone reminds us realistically, love takes us into "lands unseen"; sometimes, though painfully, it just leaves us a voice that's "small and squeaky" or hands that get "lost / in the emptiness of space." as the presence of the sea does. . . .
Today's short is Queen of Code, directed by actress Gillian Jacobs and produced by Nate Silver and others for the Signals series at FiveThirtyEight. The 16.31-minute documentary is about Rear Admiral Grace Hopper (1906-1992), who worked on the Harvard Mark 1, the first computer. In addition to making numerous other contributions to computer science, Hopper helped develop the programming language COBOL. A graduate of Vassar College (my and Silver's alma mater), where she excelled in mathematics and physics, Hopper earned a doctorate in mathematics in 1934—she was one of just four women in the 10-student Yale University Ph.D. program. Hopper was deemed a visionary, an exceptional and inspiring leader, and a pioneer in software development concepts. She held nearly 50 honorary degrees and received a number of other awards, including, in 1986, the Defense Distinguished Service Medal. 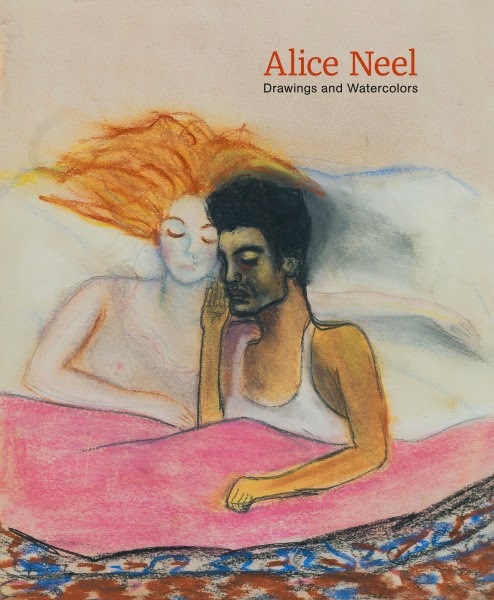 ✦ David Zwirner Books has published Alice Neel: Drawings and Watercolors 1927-1978, with texts by curator, writer and lecturer Jeremy Lewison and novelist Claire Messud. The book, containing more than 60 color plates thematically organized and offering an overview of the artist's themes and styles, coincides with an exhibition at David Zwirner of Neel's drawings and watercolors that covers the same period. The exhibition continues through April 18. David Zwirner represents the estate of Alice Neel (1900-1984). The artist's work is found in collections around the world. ✦ "Wolff" is a new art history iPad app. Created by Greg Bryda, it was launched officially at last month's College Art Association 2015 annual conference in New York City. Read a Yale Daily News article about the app. ✦ Take a half-hour to view "Illinois Artists at Work: Cannot Live Without" at WTTW Arts Online. Featured in the documentary are five artists: Allison Ruttan, a visual artist; Daniel Borzutzky, a poet; Jeremiah Huissebos-Spofford, a project-based artist; Cynthia Oliver, a choreographer and performer; and Kathleen Ginther, a composer. ✦ I serendipitously came across a link from Orion magazine that led to images of the sculpture of Jennifer Maestre, born in South Africa and based currently in Massachusetts. As her Artist Statement notes, the inspiration for her work is the sea urchin and nature generally. The sculptures' foundation comprises colored pencils, as well as nails and other materials, such as beads. Full of surprise, all the work is extraordinary. ✦ The 3:34-minute video below, taped in 2014 by San Francisco Museum of Modern Art and released last month, features Brice Marden, whose lyrical work I remember seeing for the first time many years ago in New York City. Marden talks about his approach to abstract painting and how abstract paintings may serve as "vehicles to take you to some other place." ✭ Wellesley College's Davis Museum, Wellesley, Massachusetts, has mounted the first museum exhibition in the United States of acclaimed Iranian sculptor Parviz Tanavoli. The retrospective, which continues through June 7, features work from the 1960s to today; his oeuvre extends to paintings, prints, ceramics, rugs, and jewelry. He also is a poet, scholar, and art collector. Parviz Tanavoli Exhibition from Davis Museum on Vimeo. Also see "Parviz Tanavoli Interview" on Vimeo. 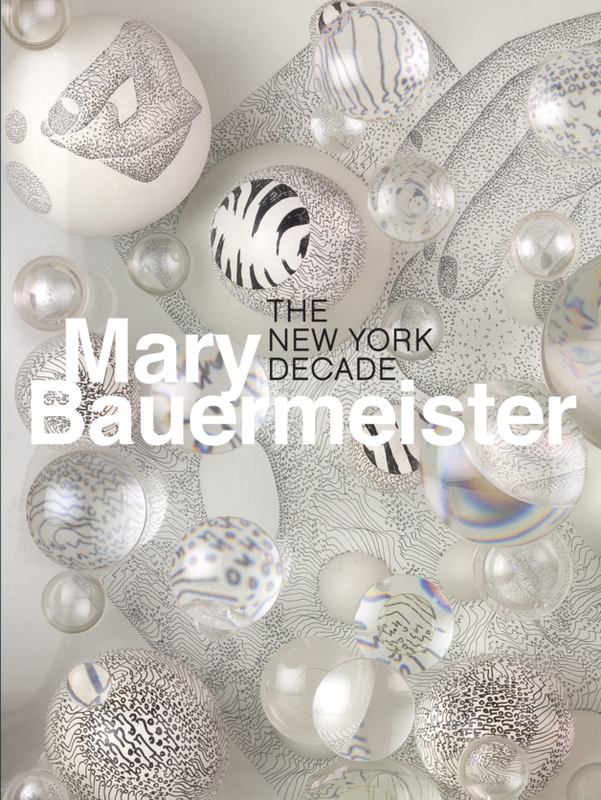 ✭ On view through May 24 at Smith College Museum of Art, Northampton, Massachusetts, is "Mary Bauermeister: The New York Decade". The first exhibition in more than 50 years to concentrate on Bauermeister's work, the exhibition brings together the artist's optical lens boxes, assemblages, stone reliefs, drawings, and other works created between 1962 and 1972. In addition to a selection of images, the exhibition page includes links to an introduction to the artist and her work, the artist's use of natural materials (sand, stones, honeycombs), the lens boxes, hand-written texts and words as embellishments on the lens boxes, the artist's themes and motifs, methods, and a sound-space collaboration with German composer Karlheinz Stockhausen. A catalogue with more than 60 color plates and 71 black-and-white images accompanies the exhibition. ✭ In Stanford, California, Stanford University's Cantor Arts Center continues through June 15 "Interaction of Color: Josef Albers — Highlights from the Marmor Collection". Drawn from a donation of some 200 contemporary artworks, the exhibition features a selection of works on paper by the abstract painter and theorist. ✭ Just days remain to see! In Massachusetts, Boston University Art Gallery's "DIGNITY: Tribes in Transition" comprises 60 black-and-white photographs of indigenous peoples from around the world. This is the show's U.S. debut (it first went on view in 2011 at the United Nations in Geneva; see video). The photography is by Dana Gluckstein. Gluckstein has produced a book, Dignity: In Honor of the Rights of Indigenous Peoples, sales of which benefit Amnesty International. Painter Mitchell Johnson of California is the subject of the short documentary below, The Artist of Silicon Valley, by Meg Smaker. Johnson was a Visiting Artist this year (from February 9 to March 9) at the American Academy in Rome, Italy. In remembrance and with all my love. . .
to be your one same self. Today's post is another in an occasional series providing information about poets, poems, or poetry-related items that you might not know. ✦ The president of Ireland, poet Michael D. Higgins, published his first poem, "The Prophets Are Weeping", since assuming office in 2011. Read the text of the poem. ✦ China has its own 21st Century version of Emily Dickinson: Yu Xihua, whose poem "Cross Half of China to Sleep with You" ("Chuan Guo Da Ban Ge Zhong Guo Shui Ni") went viral. Read "Hubei Women Dugged China's Emily Dickinson After Poem Goes Viral". ✦ Text and audio of poems by two dozen poets featured in Bread and Steel: Illinois Poets Reading from Their Works (2007), an anthology edited by Illinois's current Poet Laureate Kevin Stein, are available at Bradley University's Illinois Poet Laureate Website. Among the poets in the anthology are Edward Hirsch, John Knoepfle, Li-Young Lee, and Christian Wiman. ✦ Among the books seized by New York City's police department during Occupy Wall Street events was People's Library by the late Philip Levine (1928-2015). Read "Subject Focus: Poet Laureate Philip Levine at Wayne State University" from Wayne State University's Walter P. Reuther Library, which holds some archives from Levine's time at WSU. ✦ President Warren G. Harding was a poet! Read Peter Armenti's Library of Congress blog post "'Wild to be loved': The Poetry of President Warren G. Harding", February 16, 2015. ✦ The "library of record" for 20th Century and 21st Century poetry in English, The Poetry Collection at University of Buffalo Libraries is described as "one of the world's largest collection of first editions and other titles; little literary magazines, broadsides and anthologies; a substantial collection of artworks; and more than 150 archives and manuscript collections." ✦ The site Imediata features Brazilian visual poetry. (This is an archived poetry site, for years 2001-2007 but interesting nonetheless.) Also see the current homepage. ✦ The United Nations Office for Disarmament Affairs sponsored in 2011 a "Poetry for Peace Contest." First, second, and third place winners were announced at U.N. headquarters in New York City. Poems submitted to the contest are available to read here. ✦ Each year, March 21 is celebrated as World Poetry Day. The proclamation of the decision establishing the date was introduced, adopted, and announced at the 30th UNESCO meeting in Paris in 1999.
and it can still undo you. I have read and recommend Fuller's memoirs, which include, in addition to the title above, Don't Lets Go the Dogs Tonight: An African Childhood (Random House, 2003) and Cocktail Hour Under the Tree of Forgetfulness (Penguin Books, reprint 2012). She also is the author of Scribbling the Cat: Travels with an African Soldier (Penguin Books, 2005). Today's short is Flower Box by A-J Aronstein, illustrated by Bianca Stone, who also is a poet. It is an Electric Literature Single Sentence Animation. Anne Carson and Robert Currie collaborated with Stone, who contributed the drawings that overlay the text, to create Antigonick (New Directions, 2012). 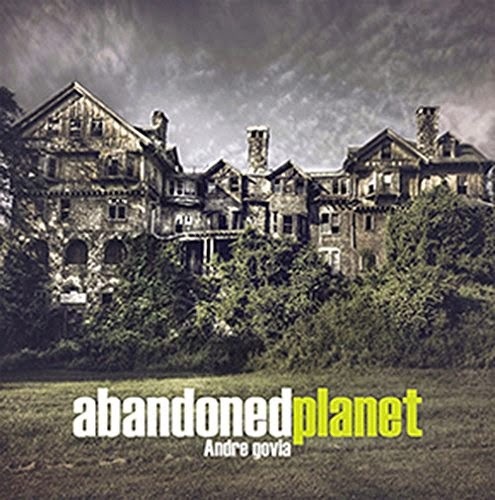 ✦ Photographer-of-ruins Andre Govia has published the inspired Abandoned Planet (Carpet Bombing Culture, December 2014), which showcases his evocative, mysterious, and haunting images of decrepit homes, long-abandoned hospitals, forgotten schools, deserted theme parks, burial grounds for cars, frozen-in-time industrial landscapes, and sundry other records of buildings decayed or decomposing. Govia shot the beautifully produced photographs all over the world; some are haunting, some are creepy, some reduced to a state of wildness that will be forever changing. ✦ Pages from antique ledger books underlie the free-hand, colored-pencil and graphite drawings of Louise Despont, who lives and works in Brooklyn. Sometimes, Despont also uses inks and gold leaf. Her meticulous artworks, which are often large-scale, are intricate and beautiful. See a slideshow. Watch a short film about Despont from Art21's New York Up Close Series. ✦ How would answer the question, "What is digital art?" This video from British Council Arts features aims to provide a definition. ✭ Continuing through April 10 at Chicago Photography Center is the juried exhibition "I Am Woman". The show opens March 8 in celebration of International Women's Day. ✭ In Union, New Jersey, the Human Rights Institute Gallery, part of Kean University Galleries, is presenting through May 18 "How to Spot One of Us", a collaborative exhibition comprising narrative photographs by Aliza Augustine and film (How I Knew and When, 2013) and poetry by Janet R. Kirchheimer. Read Rukhl Schaechter's article "How Family Holocaust Stories Became Multimedia Art Exhibit" in Forward (February 21, 2015) to learn more about the artists and their moving, remarkable, and important project. ✭ In Iowa, Des Moines Art Center has mounted "Field, Road, Cloud: Art and Africa". On view through April 19, the exhibition comprises African art from the center's permanent collections (the center owns more than 100 objects, including masks, ceramics, and textiles) and work by contemporary artists to foster discussion of geography, colonization, and import/export culture. Among the contemporary artists are El Anatsui, Nick Cave, Leonce Raphael, Alfredo Jaar, and William Kentridge. On April 2, artist Nick Cave will join senior curator Gilbert Vicario to talk about Cave's artworks, which include sculpture, installations, sound, and performance. The exhibition features Cave's sculpture Property (2014). ✭ Continuing for the next month, through April 19, is "LIFT: Contemporary Printmaking in the Third Dimension" at Tennessee's Knoxville Museum of Art. An exhibition of both emerging and established international contemporary artists, the exhibition examines techniques being used to give printmaking a sculptural dimension. The techniques range from low-relief printing and embossing, to relief printing, to digital techniques employing 3-D forms. The featured artists are Enrique Chagoya, Lesley Dill, Red Grooms, Robert Gober, Hideki Kimura, Nicola Lopez, Oscar Munoz, Leslie Mutchler, Marilene Oliver, Dieter Roth, Graciela Sacco, Olafur Eliasson, and Jonathan Stanish. You'll find me today at Escape Into Life, where I've posted my latest Artist Watch feature, showcasing the beautiful paintings of Mara Light, who currently lives and works in Pennsylvania. Deeply evocative, Light's paintings reveal simultaneously light and dark, surface and underlayer, the revealing and the hidden, intimacy and distance. They look as though they might have come from another period of time that has left its deliberate marks without distorting any of the beauty. You'll find in my Artist Watch feature seven images of Light's paintings, a brief biography, and Light's Artist Statement, as well as information for two exhibitions of her work. The choice for today's Wednesday Wonder is Family Trees (2012), the third in a series of animations commissioned by Hyundai Motor Group. Matt Pyke, founder and creative director of Universal Everything, worked with his staff to realize the commission, which "abstracts the processes behind Hyundai's manufacturing methods." Trees, sprouting, branching out, and filling with foliage, are a metaphor for "resource circulation" (recycling) as used by Hyundai. The other animations in the series are Made by Humans and Primal Creation: Planet. Learn about the process of anthropomorphizing the abstract at The Creators Project. the poetry in their everyday speech. George Ella Lyon (named, respectively, for her brother and sister), a prolific writer in many genres, is Kentucky's Poet Laureate for 2015-2016. Nationally known, she succeeds Frank X Walker, who served from 2013 through the end of 2014. Lyon's official induction ceremony is April 24, which is Kentucky Writers' Day. The Kentucky Arts Council coordinates and administers the nomination and selection process resulting in the appointment of a state poet. Detailed information about the position is found in my Monday Muse profile for Gurney Norman (August 9, 2010). The principal activities of the state poet are to promote the literary arts throughout the state via public readings at libraries, bookstores, schools, and numerous other venues, as well as writing conferences, workshops, and festivals. In the news release from the governor's communications office, Lyon is quoted as saying that as Poet Laureate, she will emphasize poetry's accessibility: "I am always trying to help people hear their own voices, their own stories and know that those matter; that they have weight and beauty and that they are worth sharing. Part of that is listening deeply to what people write or the questions they ask. . . ."
. . . [I]t's still words and their transforming music that I love. 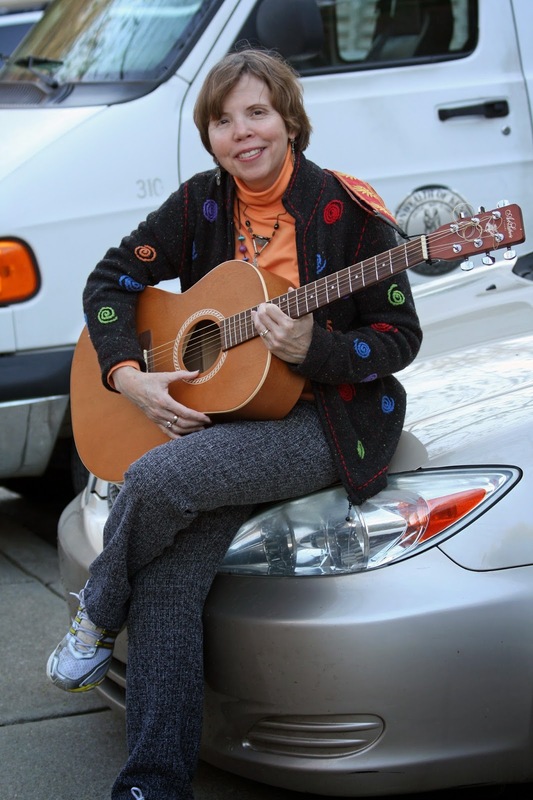 George Ella Lyon is a poet, writer of children's picture books and novels for juveniles and young adults, a memoirist, an essayist, a playwright, a lyricist, a devoted long-time educator and mentor, a freelance writer, and a political and environmental activist and advocate for Appalachia. 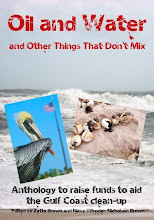 Among Lyon's more than three dozen books are her poetry collections Many-Storied House: Poems (Kentucky Voices Series, University Press of Kentucky, 2013), She Let Herself Go: Poems (Louisiana State University Press, 2012), and Back: Poems (Wind Publications, 2010). Lyon, who studied with the late poet Ruth Stone, also is the author of the combination memoir-and-poetry-writing guide Where I'm From, Where Poems Come From (Absey & Co., 1999), containing her well-known poem of the same name. The book Counting on the Woods (DK Publishing, 1998) contains a poem by Lyon and photographs by Ann W. Olson. Several of Lyon's poetry collections have been award-winners, including her debut 1983 chapbook Mountain (Andrew Mountain Press; available through resellers), which received the Andrew Mountain Press Lamont Award, and Catalpa (Wind Publications, 1993; reissued 2007), Appalachian Book of the Year in 1993.
and the joy of making. I don't write from ideas so much as from feelings. to capture or explore or understand it. . . I write to find out! Place, especially sense of home in the eastern Kentucky coal-mining region where she was born, figures prominently in Lyon's poems. She also draws deep inspiration from her Appalachian background. Some themes or subjects of her poems are memory and the past, relationships, especially with family and community, self-identity, women's struggles, empathy and compassion, spiritual awareness, love, loss, and death. I was born in a bowl of mountains. A beautifully written poem whose declarative lines call for it to be read aloud, "Where I'm From" ultimately comes round to "a dress box / spilling old pictures" that recall to the poet "those moments — / snapped before I budded — / leaf-fall from the family tree." till we learn it is all for giving. What's distinctive about Lyon's poetry is that while it is undeniably regional, its reach is longer and more influential than might be supposed; it gets through to the reader, makes connections through a storytelling strong of voice that manages to convey depth and emotion with the plainest or simplest of words. Lyon's work is found in numerous anthologies, including Succinct: The Broadstone Anthology of Short Poems (Broadstone Books, 2013), The Poetry Friday Anthology for Science, Common Core K-5 Edition (Pomelo Books, 2012), What Comes Down to Us: 25 Contemporary Kentucky Poets (University Press of Kentucky, 2009), and Missing Mountains (Wind Publications, 2005). Several of her poems also are found in Listen Here: Women Writing in Appalachia (on GoogleBooks). She co-edited, with Bob Henry Baber and Gurney Norman, the anthology Old Wounds, New Words: Poems from the Appalachian Poetry Project (Jesse Stuart Foundation, 1994) and, with Leatha Kendrick, Crossing Troublesome: Twenty-Five Years of the Appalachian Writers Workshop (Wind Publications, 2002; available via resellers). She also is the editor of Harvest of Fire: New and Collected Works by Lee Howard (Motes Books, 2010) and A Kentucky Christmas (University Press of Kentucky, 2003; reprint 2012). In addition to the writing awards mentioned above, Lyon has received numerous prestigious honors and recognition for her many books for children and young adults, include a Golden Kite Award, an Aesop Prize, an American Library Association Schneider Family Book Award, and a Parents' Choice Silver Medal. She has been the recipient of a Kentucky Arts Council Al Smith Fellowship, Hambidge Center for the Arts fellowships, and Kentucky Foundation for Women grants. Lyon offers her own "Meet the Author" and "Writers' Workshop", which she explains on her Website in the section School & Library Visits; participates in community reading programs, and gives talks at libraries, where she also conducts writing and GED workshops for adults. and what we've all heard about. 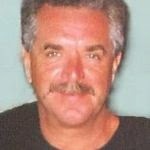 Charles D'Ambrosio is a short story writer and essayist. Today's short is an animation in which Brene Brown considers blame, what it is and how it affects our relationships. Additional animations and videos of lectures are at Brown's Website. 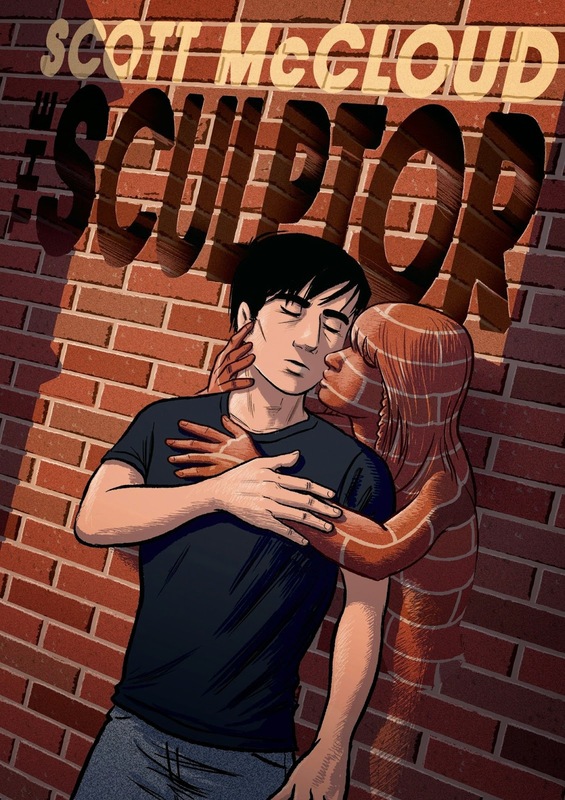 ✦ Scott McCloud published his nearly 500-page novel, The Sculptor, in early February. The huge book, McCloud's first graphic novel and first fiction work in more than three decades, which took the cartoonist five years to finish, ranges over big themes: creativity, art and commerce, frustrated ambition, love, depression. PBS NewsHour Art Beat showed a video conversation with McCloud, who calls The Sculptor a "love letter to artists everywhere. . . the vast majority of artists who never experience [success] or very rarely do. . . [and] struggle with obscurity most all of their lives. . . ."
✦ If you cannot get to The Getty's exhibition "J.M.W. 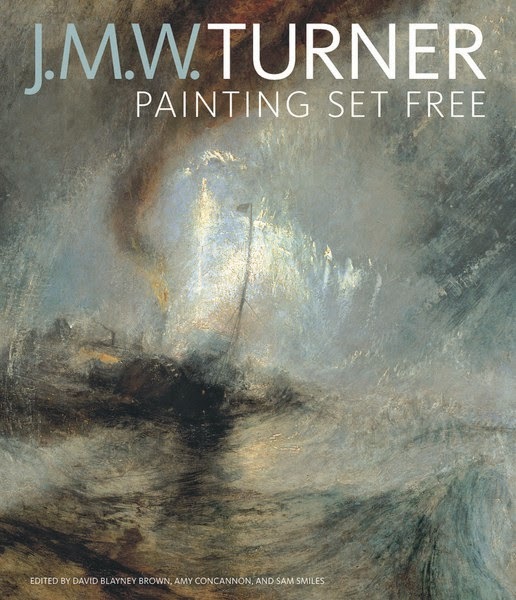 Turner: Painting Set Free" by May 24 or to San Francisco's deYoung Museum, where the show will be on view from June 20 through September 20, do the next best thing and purchase a copy of the lavish 224-page catalogue with 130 full-color illustrations: J.M.W. Turner | Painting Set Free (J. Paul Getty Musuem, November 2014). Editors David Blayney Brown of Tate Britain, Amy Concannon, also of Tate Britain, and Sam Smiles of University of Exeter offer contrasting perspectives on Turner's paintings and influence. ✦ The Irish artist Catherine Owens, who lives and works in New York City, collaborated with Stoney Road Press to print Fiddle East (2014) and The Vee (2014), both intaglios printed in an edition of 25. A fine art print studio in Ireland, Stoney Road has worked with a long list of artists. All the press's works are for sale. ✦ Watch for it! Photographer Sally Mann's Hold Still: A Memoir with Photographs (Hatchette Book Group/Little, Brown) is due out in April. The memoir will be available in print and as an audiobook and e-book. ✦ Recently launched: an online platform — Smithsonian Libraries Artists' Book Collection — that brings together artists' books from across Smithsonian collections. Users can see all of the books (some 600 titles currently) or search by topic, name, language, or in other fields. A marvelous resource! ✦ An app available for iPhone, iPad, and iPod Touch, the video game Flomm! loosely interprets the art, design, theories, and counter-theories of early proponents of Modern Art. Below is the trailer created for the project. 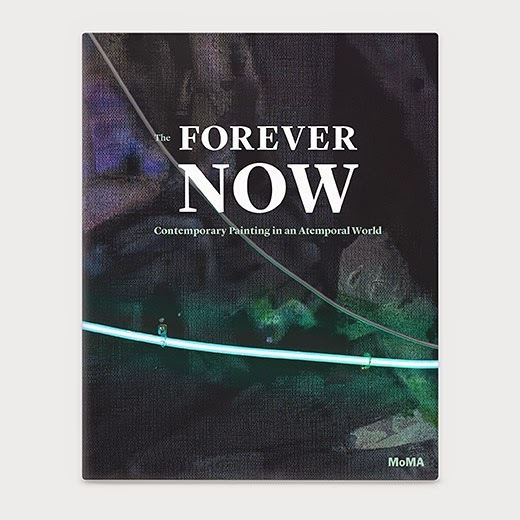 ✭ Eighty works by 17 artists are featured in "The Forever Now: Contemporary Painting in an Atemporal World" at the Museum of Modern Art, New York City. On view through April 5, the exhibition reveals artists' strategies and techniques in creating work that is not defined, through style, content, or medium, by the period in which is was produced. Including work by Matt Connors, Julie Mehretu, Oscar Murillo, Amy Sillman, and 13 other artist with international reputations, the show is accompanied by a catalogue, a sample of which is available. Gallery talks, lectures, and conversations with the artists are among the programs offered in conjunction with the exhibition. ✭ Continuing through August 23, Fuller Craft Museum's "Continuum of Innovation: Haystack Clay Selects" celebrates innovative contemporary ceramists whose work has been singled out by nine past or current faculty in the studio ceramics department at Haystack Mountain School of Crafts, Deer Isle, Maine. Two separate but related shows are "The State of Clay: Pushing Boundaries", on view through May 24, and "Legacy of Fire: Clay Dragon Studios Revisited", running through April 26. ✭ In Santa Fe, the New Mexico Museum of Art is presenting a year-long series of photography exhibitions under the banner "Focus on Photography"; these include solo surveys of work by contemporary photographers, themed exhibitions of contemporary work by national and regional artists focusing on a particular subject, and "The Photo Lab", a space for learning about photography. On view through April 19 are "North to South: Photographs by Edward Ranney" and "Tales from a Dark Room". See a selection of images of Ranney's work in The Art Institute of Chicago collections. ✭ Portland Art Museum, Portland, Oregon, is showcasing contemporary Japanese ceramics in "Hand and Wheel". The exhibition, continuing through October 18, features work from the 1950s to the present, including examples by such masters as Nakazato Takashi, Hoshino Satoru, and Fujikasa Satoko. ✭ Work by painter and sculptor Carol Brown Goldberg is on view through April 19 at South Dakota Art Museum, Brookings, on the campus of South Dakota State University. See a selection of Goldberg's paintings and sculptures on her Website.